This issue brings several articles penned by scientists, as we continue to work to convey the breadth of their concerns to CSE members and to Science Editor readers. We’re launching a new series called An Editor’s Perspective. These insightful articles provide a first-hand glimpse of scholarly publishing from scientific journal editors. These scientists deal daily with complexities that include interpreting reviews, making decisions on manuscripts, understanding ethical issues, and applying standards and guidelines not just around the science but related to the papers themselves. 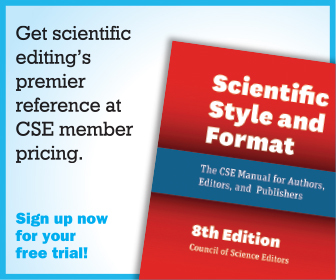 In the series’ inaugural article, Mark Johnston, CSE member, geneticist, and (full disclosure), GENETICS Editor-in-Chief, explains the benefits and challenges of using scientist-editors in an editorial model called peer editing. Second in this series, in the next issue, will be a piece by Dr. Joseph Loscalzo, who reflects on his 12 years as Editor-in-Chief of Circulation, published by the American Heart Association, and credits the journal editorial office for running a smooth and efficient journal operation, in turn allowing for a journal the size of Circulation, with 5,000 annual submissions, to succeed in its editorial and scientific missions. 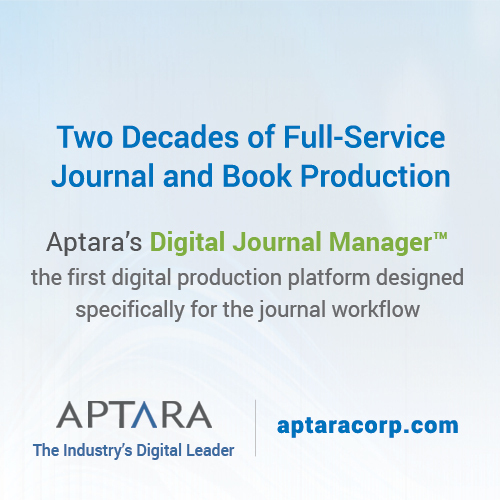 I’m especially enthusiastic about this series because the more clearly we understand the perspectives and experiences from a journal editor’s point of view, the better we can serve our organizations and our authors, editors, and reviewers. 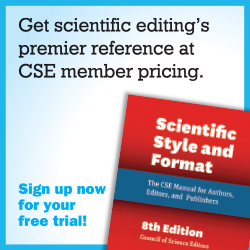 And because CSE members include journal Editors-in-Chief, they’ll have an opportunity to hear a peer’s perspective. Whether hearing a specific suggestion for improving our manuscript submission systems (and working as a vendor to implement that feature), realizing the frequency of image manipulation (and coming up with a process to detect those problems), or receiving a request for a page charge waiver (because the author’s funding was spent conducting the experiments, and no money remained for page charges)—it’s impossible to separate the science and the scientist from our own roles as problem solvers, advisers, editors, technology innovators, process creators, and valuable contributors to our own organizations. Many of their challenges become our challenges—but also present our opportunities to provide guidance and solutions. 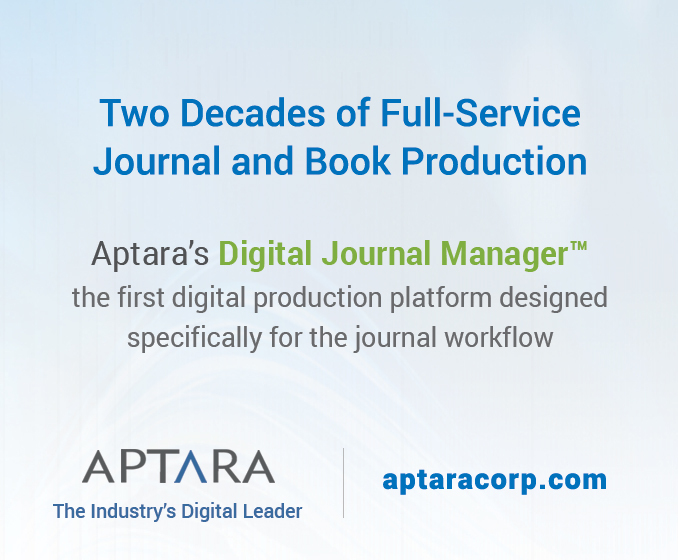 publishing to CEOs of start-ups seeking to stay ahead of the technology curve. Speaking from experience, it’s the connections I have fostered within the scientific communities served by the Genetics Society of America that make the most difference. Candid conversations with authors about their challenges in securing grants have led to a deeper understanding of the need to offer cost-effective publishing for our authors. Editor frustration with figuring out how to locate reviewers with narrow expertise led us to prepare tutorials for editors on our manuscript-handling software. Teaching workshops on how to get published led to one of our most popular editorials about early career scientists’ experiences chasing journal impact factors. And speaking of looking at publishing in practice, Lenny Teytelman, protocols.io founder and Science Editor editorial board member, advocates for peer reviews that are shared with others, whether via journals, blogs, PubMed Commons, or other means. Why is this OpEd important for our members? For one, it involves questions of process, ethics, and discussions with our own readers and communities on their preferences. It also means educating ourselves about issues of confidentiality and anonymity in peer review, and how we apply our knowledge in practice. Looking for new reading material? We’ve published three book reviews, each worth a serious look. Leah Poffenberger, a graduate student in Science and Technology Journalism at Texas A&M University, discusses John Gluck’s self-reflective book Voracious Science and Vulnerable Animals: A Primate Scientist’s Ethical Journey. Barbara Gastel writes about two books focused on practical aspects of scientific communication. The first, W Matthew Shipman’s Handbook for Science Public Information Officers, is a must read not just for public information officers but for scientific communicators in general, including those looking to promote the work of scientist-authors. The second, Science Blogging: The Essential Guide, features 26 bloggers each writing a chapter. 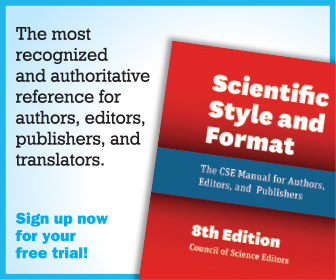 Gastel points out that contributors such as The Atlantic science writer Ed Yong and science writer and New York Times columnist Carl Zimmer ensure the book’s advice is top notch, plus a companion website enables updates to the ever-changing field of science blogging. This issue’s Ethical Editor column features attorney Debra Parrish on the timing of the U.S. Office of Research Integrity (ORI) investigations into research misconduct (and the release of those findings) as it compares to the timing of a scholarly journal’s rights and responsibilities to take swift action to correct the literature, in particular when an article presents factual inaccuracies. This is a good read for editors who face situations involving juggling when and whether to issue corrections or retractions in the face of the release of findings from institutional investigations and ORI (federal) investigations into research misconduct, as well as the journal’s own policies and standards. We’ve profiled Resa Roth, who is new to both CSE and to our editorial board. Learn about Resa’s background in veterinary science, her take on the BELS exam, and her ability to maintain a work–life balance. Plus she’s a surfer! Underscoring the value of shared insight and connections, the CSE Listserv offers members a quick way to ask questions, convey their own experiences, and help one another. In this issue, we launch a new column highlighting this key member benefit, where each issue we’ll share some of the conversations taking place in an email forum between CSE members. And finally, we present a must-read by Thomas J Hund and Peter J Mohler, faculty members at The Ohio State University. They tackle myriad timely topics in their article “Science Advocacy in a Changing Political Climate: Speak Up and Speak Well.” They argue why it’s critical to make scholarly articles and scientific findings accessible not just to other scientists, but to the public. The National Institutes of Health, one of the world’s largest funders of biomedical research, is facing a proposed 20% budget cut predicted to be catastrophic to scientific progress (which means, of course, scientific publishing and many of our journals will be affected downstream—if labs close, if fewer papers are written—we need to be prepared). The level of widespread enthusiasm for the March for Science, a grassroots movement aimed at communicating the value of science to the public and to Congress, seems to indicate a large number of people who are interested in advocating for science, scientists, and tenets like evidence-based decision-making. Regardless of where each of us personally stands on the issues, as scientific editors, communicators, and those invested in those endeavors, it’s necessary to fully understand the rapidly changing economic and political arena so we can effectively support our authors, readers, reviewers, and the public. Have you had an observation, conversation, or finding that changed your perspective, process, or policy related to editing, publishing, or the support of your constituents and communities? We at Science Editor welcome your story. 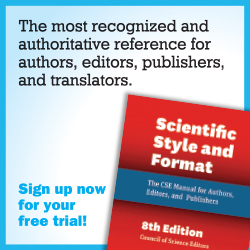 We intend to share these in paragraph or testimonial format, so please submit your ideas or articles to me at scienceeditor@councilscienceeditors.org. As part of our mission, the Council of Science Editors “aims to improve communication in the sciences by educating authors, editors, and publishers.” We’re excited to announce our upcoming issue on Scientific Communication. Stay tuned for details and deadlines. Tracey A DePellegrin is the Editor-in-Chief of Science Editor and the Executive Director of the Genetics Society of America.